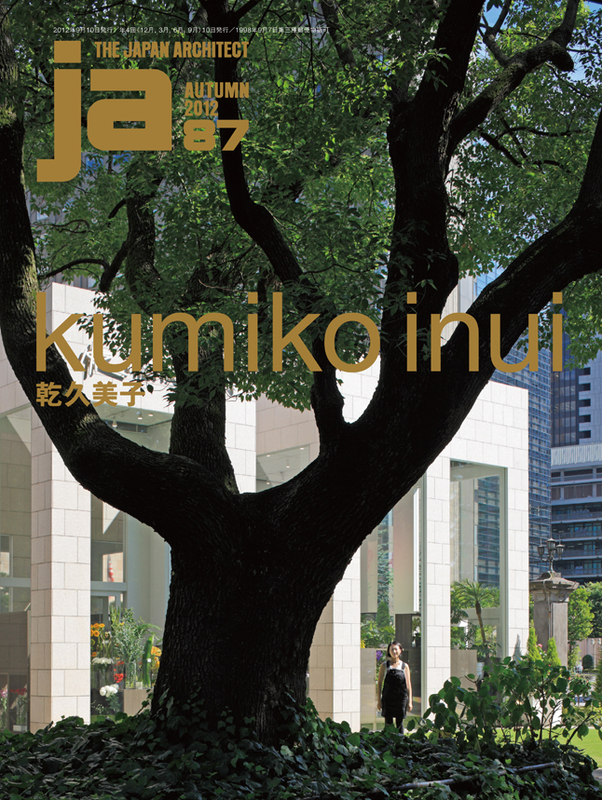 JA87 is a special issue featuring the work of architect Kumiko Inui. This is the first time that nearly all of Inui’s work—from her debut project to her latest works in progress—has been brought together in book form.Though quite varied in terms of program and scale, her work since she opened her own office in 2000 and up to the present shows a consistency in how she creates her designs. For all of these projects, Inui deeply explores the given program, carefully observes the site and how the land surrounding it functions in daily life, details with an instinct both unique and insightful. The voluminous study notes shown in this issue are meticulous studies that even include full-size detail drawings and show how her final designs are determined by a careful consideration of how the architecture interacts with the surrounding environment.This issue carefully traces Inui’s reference and study process with the idea of conveying the joy derived from the creative process. In addition, we include six project proposals that ultimately were not selected, because they provide perspectives essential to understanding Inui’s approach to architecture. Including these proposals, we take a look back at 26 projects in chronological order that show her philosophy of affirming a site as it is but further enriching it through architecture in practice. Today, Inui is at work on numerous proposals and the demand for her outstanding work is greater than ever. We think you will enjoy this careful look at Inui’s uniquely fascinating work and the insightful architectural thought process that inspires it.